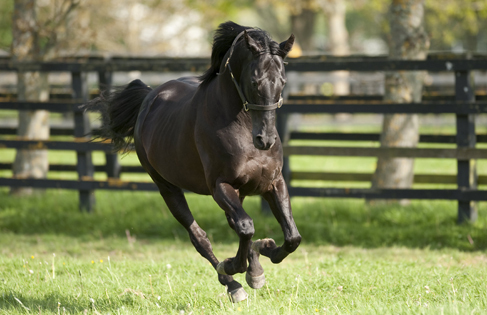 The odds were stacked against stallion success for Big Bad Bob, but he showed he was going to defy the odds almost from day one; from ten named two-year olds in his first crop, nine started at two, and eight of the nine won or placed at two in 2009. In the ensuing years he’s gone from being a sire phenomenon to nearly a cult figure. From small crops he sired the likes of Bible Belt, Brendan Bracken, Berg Bahn, Bob Le Beau, Bible Black, and Backbench Blues, and that was before his first Irish National Stud-sired crop of 57 foals were born. Resulting in 13 winners from 30 runners, two stakes horses and very promising maiden winners like McCreery and Bocca Bacciata. With even bigger crops in the pipeline I’m confident Big Bad Bob can ‘stand the raise’ and produce even better horses from the better mares he is now getting from some of the top breeders. They’re tough, game, and classy – why, who wouldn’t want A Big Bad Bob?